Beautiful tribute! Thank you Duncan. 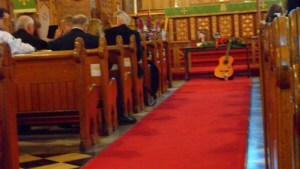 The ‘farewell’ to Nik Beat at St. John of Norway Church, fell on the first day of autumn. It was warm and sunny, almost as if Nik had arranged it himself, to give us a warm goodbye.